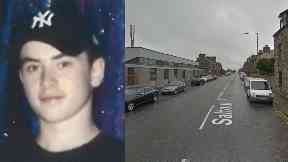 Joshua Coombes, 15, was last seen in the Saltoun Place area of Fraserburgh on Thursday night. A 15-year-old boy has gone missing from Aberdeenshire. Joshua Coombes was last seen in the Saltoun Place area of Fraserburgh on Thursday night at around 11pm. The teen, who is described as having a deep voice, was last seen wearing a long-sleeved black top, black bottoms and grey trainers. Police have issued a public appeal to help trace the youngster. If you have any information as to his whereabouts, call 101.